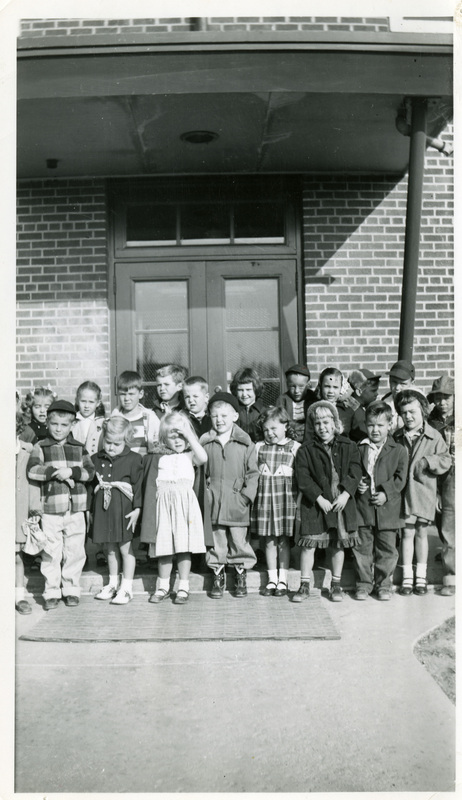 Front row left to right: Mike Glasgow, Martha Walz, Betty Lou Wade, Dickie McNamara, Sandy Kaye Smock, Betty Cutler, Jimmy Hamby, Linda Knowling. Back row: Linda Nelson, Janie Hartsock, Steve Bichel, Larry Garringer, Butch Lawrence, Sherida Saxton, Johnny Gregg, Helen Morrison, Gary Shera, Glen Reese, Gary Hornell. 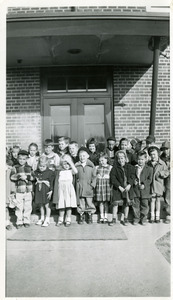 “Coralville School Kindergarteners, P.M. Group, Spring 1954,” Iowa City Public Library, accessed April 19, 2019, http://history.icpl.org/items/show/1910.